Have you read a History Mystery yet? Raja Raja Chola, the King of Kings, is upset. Someone is swapping the precious pepper being shipped to China with goat droppings. What’s worse, the Chinese are now threatening to stop all trade. Who can help the emperor solve the mystery? Does the 1000 year old Rajarajeshwara temple in the story and located in Thanjavur today actually have instructions and details scribbled all over its walls? With names of temple dancers, details of every statue and every gift and more? Were there pirates sailing the seas off the coast of India? Did the Chola empire in Southern India trade with China a 1000 years ago? 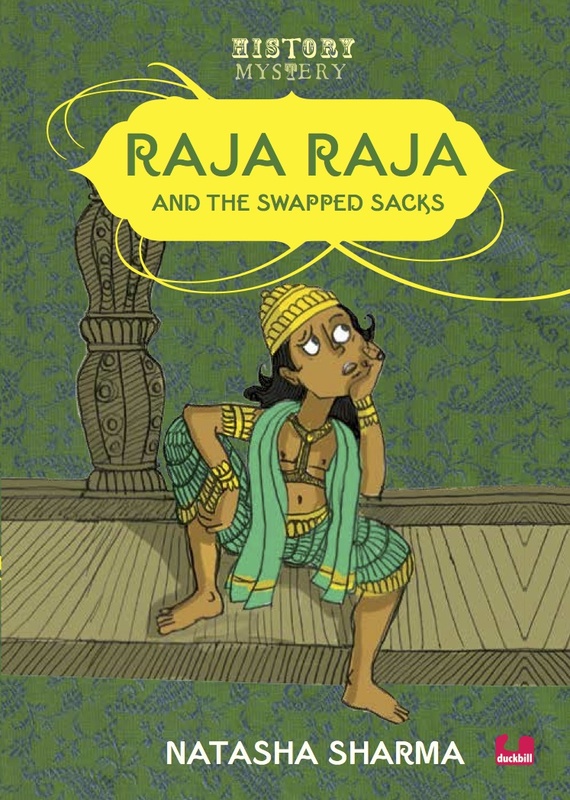 You will know all when you have read Raja Raja and the Swapped Sacks! Swashbuckling pirates, a wily detective and the King of Kings! “And she does it again! The third book in the series is out and it completely lives up to the expectations.